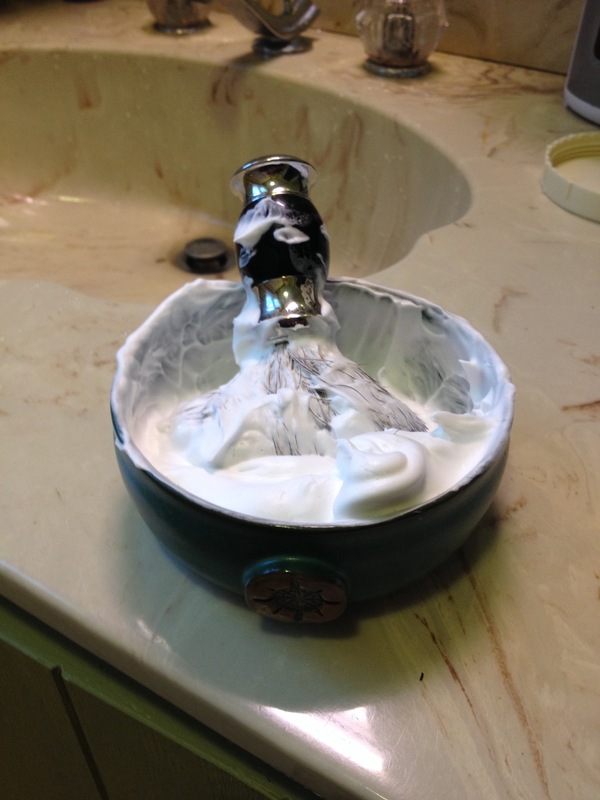 Even though I am a face latherer, I do enjoy taking out my bowl and whipping up a killer lather. When I do I grab my Captain’s Choice Lathering bowl. This is a palm sized bowl that measures approximately 4 1/4 inches in diameter and 1 1/2 inches deep. It does bow in slightly at the top to keep the lather inside. I chose the Sea Foam colored bowl that’s a teal color. It has a prominent star on it that you put your thumb on for stability. I has large grooves inside to help produce lather and they perform as advertised. It is a ceramic bowl that I would recommend not dropping. Being ceramic it holds heat well but definitely not scuttle-like. I took out my Edwin Jagger Pure Badger brush with a 50mm loft as I do think this brush is great on creams. For this review I pulled my Taylor’s of Old Bond Street Mr. Taylor’s cream off of the shelf. As you can see it whipped up a nice creamy lather-in about 45 seconds. To say I love using this bowl is an understatement, it’s so easy that it’s almost like cheating. But the great part is the price point being only $18.75 on the Captain’s Choice website. You will not be disappointed with this bowl. Great review brother keep them coming. You convinced me Pete ! I went to the Captains choice website and ordered one of these bowls and some aftershave Cat o’ Nine tails to be exact….. I want to see if the burn lives up to the hype. 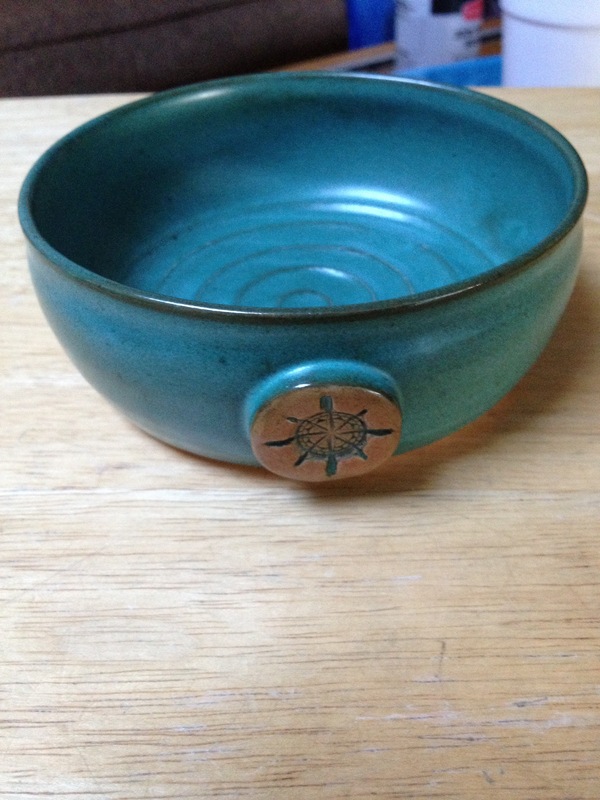 The bowl looks awesome I bought mine in Gunmetal…. I did not want to copy you too bad 🙂 great work bud ! Great review the bowl is green or sky blue or something else?